When you are in personal bankruptcy, your bankruptcy estate is in control of a bankruptcy trustee. The trustee makes decisions regarding what is best for your creditors while you are in bankruptcy, so a payday loan may not be possible. 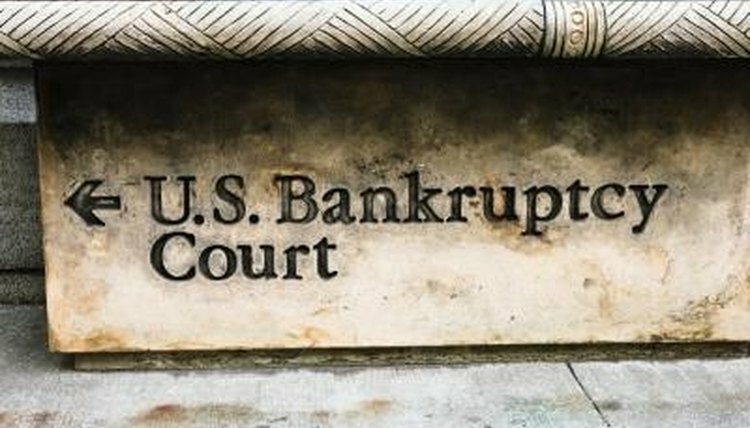 There are two types of personal bankruptcy: chapter 7 and chapter 13. Under a chapter 7, your estate is liquidated in order to pay off your creditors. A chapter 7 is usually over within a few months. A chapter 13 acts as a repayment plan over a term of three to five years wherein the debtor makes payments to a trustee who then pays creditors. A payday loan is essentially a loan with high interest rates taken out in any amount that is secured by your next paycheck. It is essentially a high interest, very short-term cash advance. People in bankruptcy proceedings can apply for a payday loan, but the already high interest rates will likely be even higher if you are in bankruptcy. Payday loans have very high interest rates. See the resources section below for a payday loan calculator to calculate the actual cost of your payday loan. How Do I Get a Payday Loan While in Bankruptcy? When you are in bankruptcy, your estate is under control of a trustee. In order to take out any loans, the trustee must approve the loan by stipulation. The trustee needs documents to review the interest rate and amount you plan to take a loan out on. A trustee would likely not approve a payday loan, as the interest rates are usually very high, especially for those in bankruptcy. How Will the Payday Loan Affect my Bankruptcy? The payday loan may not directly affect your bankruptcy, but you can get in trouble with your trustee if you take out a payday loan without court permission. If you get in trouble for taking out the payday loan, you run the risk of having your case dismissed and thrown out of bankruptcy court. Lynn, Jackie. "Can You Apply for a Payday Loan in Bankruptcy?" , https://legalbeagle.com/5766884-can-apply-payday-loan-bankruptcy.html. Accessed 20 April 2019.